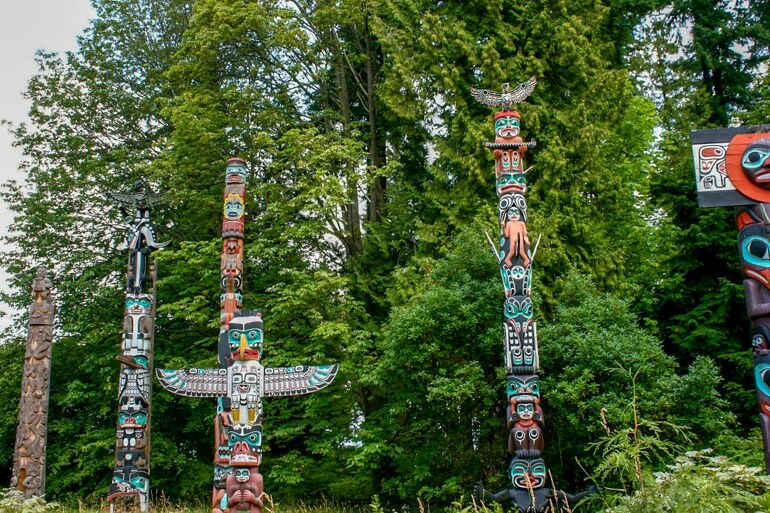 Jam Pack Your Vancouver Itinerary With These Tips By Laura, our Local Guide! There are tons of things to do in Vancouver. So much so that planning your trip can sometimes feel overwhelming! But stick with me here, because I called Vancouver home for 2 years & have visited half a dozen times before that. I’ll make sure you see the best bits of the city – with some a little off the beaten path! Some of you might be travelling to Canada for the first time. If that’s the case – amazing! There is plenty to do and see and we’re happy to show you around this beautiful country! No trip to Vancity is complete without setting foot along the seawall & Stanley Park. Whether it’s by bike, Segway, or on foot, you’ll be amazed at the views you get of the city and the seriously amazing number of beaches you’ll find along the way. In the summer, be sure to do a bit of beach hopping through first, second, & third beach until you reach sunset beach. As you can imagine, it boasts some pretty epic sunsets. Pop into the aquarium if the weather is a little less favourable for the beach and keep your eyes peeled for eagles hovering and sea otters swimming! A little off the path you’ll find one of my favourite spots at Prospect Point. Here, you get a great view out to North Vancouver & the Lion’s Gate Bridge. Day or night, rain or sun, no matter the weather – this is the quintessential must-see spot on anyone’s trip to Vancouver! Read Next – Find a Great Place to Stay with our Vancouver Neighbourhood and Hotel Guide! Because who doesn’t love boats & beer? If you’re feeling ambitious and you’ve just finished up your bike ride/walk of the seawall, you might find yourself in need of some grub and a pint (or 4). So, why not grab the aquabus from False Creek (you can even pop your bike on the boat, space permitting) and in no more than 5 mins you’ll be stepping off into Granville Island Public Market. The indoor market is home to a multitude of different treats, fresh produce, meats, cheeses, flowers, & everything in between. It’s best to head there on an empty stomach and try a little something from all the stalls. That way, you’ll be primed and ready to get into the beers at Granville Island Brewery. Founded nearly 35 years ago, the Brewery is a social hub on the island and is a great spot for some drinks. Better yet, why not get a tour which includes a small flight of tasters? As you head out, be sure to make a visit to their shop to stock up on your favourites. I’d suggest the Maple Shack Cream Ale. Then you can take on the rest of the island by strolling around and exploring the great independent shops that call the island home. Gastown is the oldest neighbourhood in Vancouver and the one with the most character. Cobbled streets and gorgeous architecture might have you thinking you’re somewhere in England but you’re right in the heart of Canada here. Speaking of Canada, for more amazing places to visit, check out this massive guide on the best attractions all over Canada! 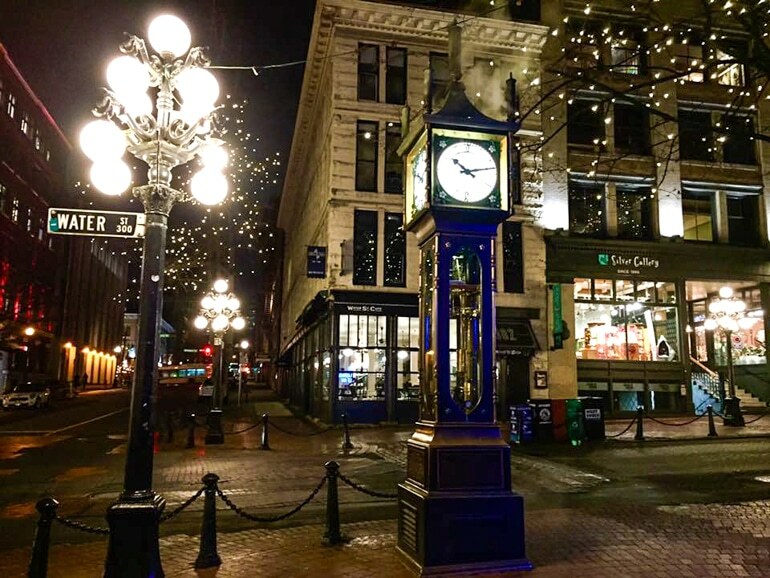 Gastown is known for its whistling steam clock you won’t be able to miss it (ie: look for the crowd). If you’re hoping to spot it sans-crowd check it out in the early hours of the morning or after-dinner hours. You’ll find shops to suit all tastes here, from designer boutiques, to independent art shops, classic souvenir stores, & so much more. And if that wasn’t enough, the eateries that line those cobbled streets are some of the best in the city. I’d suggest checking out Tacofino, Back & Forth Bar, and Steamworks. And for dessert, don’t miss out on the epic and very Vancouver Cartems Doughnuts – the Earl Grey is something magical! 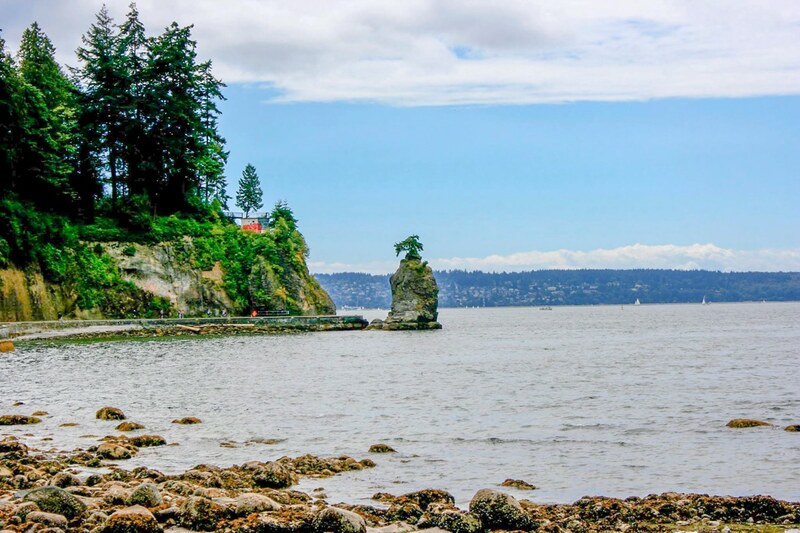 From the city, head out towards North Vancouver and you’ll feel as if you’ve been transported to another world. The city fades away and you’re left with the most adorable little village vibes. Facing East towards Indian Arm (a branch off of Burrard Inlet) you’ll have at the most stunning scenic views from the town. Grab a coffee (and of course a sweet treat) from Honey Doughnuts and stroll along the beach and the boardwalk taking in all the views of the gorgeous boats with the mountains behind. Keep your eyes peeled for some rather famous folk who call Deep Cove home (AKA Ben Affleck has a home here & has been back & forth frequently since 2000). If you want the best view that Deep Cove has to offer (in my opinion), then tie up your trainers and head up. Quarry Rock is a Vancouver local favourite and can get quite crowded during the summer months, but outside of that season it remains pretty crowd-less and gives you sweeping panoramic views as far the eye can see. Definitely a great spot for a sunset, a picnic, or just soaking in the views. This was hands down my favourite place to be when I lived in Vancouver. 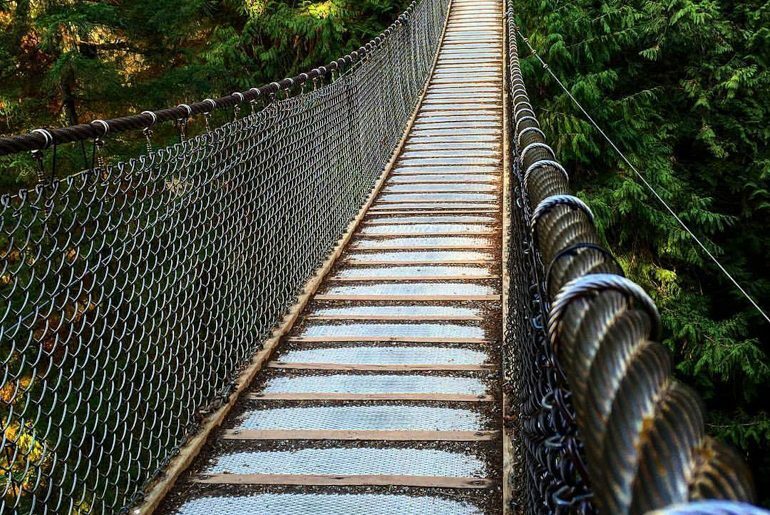 Lynn Canyon Suspension bridge is a great alternative if you’re on a budget and looking to avoid paying the $40.00/each to the Capilano Suspension Bridge. Home to 617 acres of sheer lush nature, Lynn Canyon has a fantastic trail system for all fitness levels & ages. In the summer, you’ll hear loud screams from the brave (or insane) cliff jumpers at “30 Foot Pool”, and during the shoulder season, all you’ll be able to hear are the multiple waterfalls rushing as it seems on any given day you could be the only person out there. There are stunning ancient trees stretching up towards the sky, waterfalls a-plenty, and you’ll get the most magical feeling as you walk through the forest. Having been used a filming site for multiple tv shows & movies you’ll immediately get the sense that you’ve walked into a whole other universe. If you’re anything like me, you’ll be hard pressed to believe that all of this exists less than 20km from the city centre. Saving the best for last? I may have, and I couldn’t let you leave Vancouver without getting out and doing some solid hiking now could I? 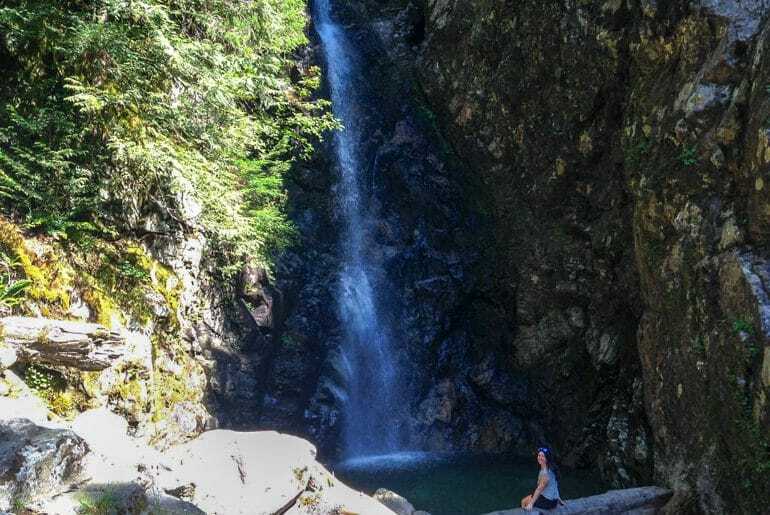 This is the perfect hike that can be completed no matter what the weather (rain, sun, or even snow) and you’ll be gifted with a wicked waterfall when you come to the end. You’re looking at a 14km round trip adventure so be sure to pack lots of snacks & some good company for the trek. It’s not intense so you won’t feel like “oh all that beer from Granville Island last night wasn’t a great idea”. The terrain is relatively flat for most of the way in. You’ll cross some streams and get up into the trees for a bit before coming out to a rock pool. Then just look to your right: bam – WATERFALL WONDERFULNESS! If you start early enough or head out on a weekday, you may end up with the falls all to yourself. My first trip out was in the middle of the summer and we even got the chance to swim under the falls totally on our own. Fingers crossed that happens for you – it’s much more magical that way. 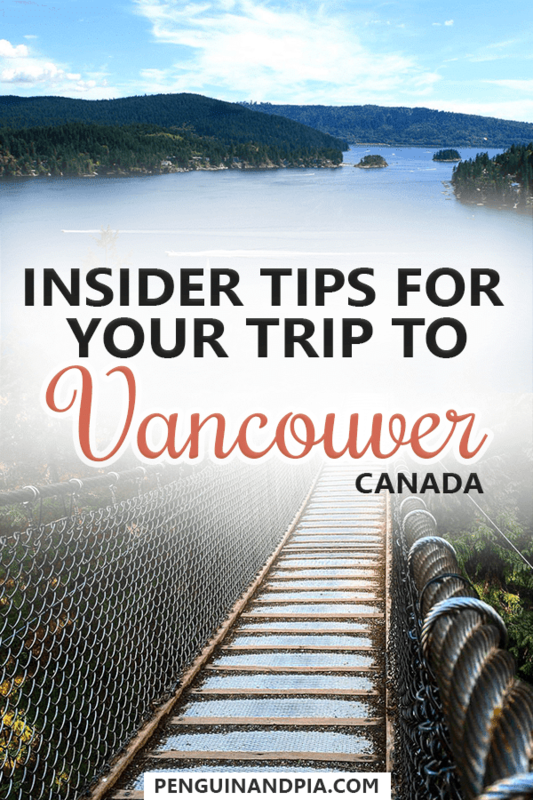 Whether it’s your first trip to Vancouver or a return visit, here’s hoping these suggestions give you a whole new appreciation for the city and what beautiful sights surround it! You’ll never be without something to do, somewhere to eat, or some epic view to see! Vancouver is home to the most eclectic city vibes and there is something to do for everyone. Hopefully, these suggestions are just the start to your epic Vancouver plans! And there you have it – Laura’s take on the best things to do in Vancouver. A huge shout out to Laura for being her awesome self and sharing these with our waddlers. 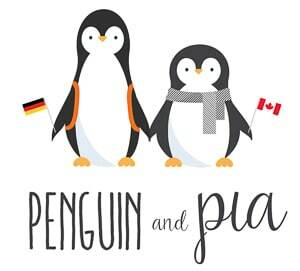 If you want to learn more about Laura and what she’s up to living and working abroad, check out her site at She Who Wanders. You can connect with her on her channels like Twitter, Instagram, and Facebook. She loves to chat about travel!